Rob Cesternino and Josh Wigler get you ready for Tuesday’s premiere of the final season of FX’s Sons of Anarchy with a pre-season preview. What are Rob and Josh’s opinions of the series to date? What do the guys say are their favorite and least favorite things about the show? What are Rob’s reactions after watching the entire run of the series over the last 2 months? What do Rob and Josh have to say about the huge finale which included the death of Tara at the end of season 6? How do Rob and Josh predict that the series will end? Is Sons of Anarchy going to play out exactly like Hamlet? Who are the characters that Rob and Josh think will die during this season? Which characters do Rob and Josh bet will definitely survive through the end of the show? 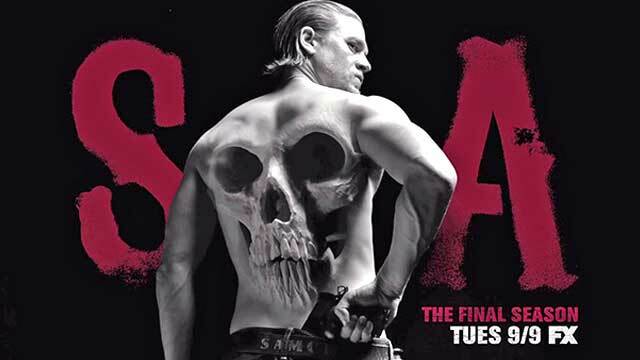 Join us LIVE on Tuesday night for the first ever POST SHOW RECAP of Sons of Anarchy. Ask us your questions about the season premiere and hear our reactions to the start of the Final Season.